Last night, kovdev published a brand new icon pack titled Stark to Google Play. The pack is colorful and full of cleanly squared off icons, over 850 in total. If you haven’t bought one of Dave Kover’s packs before, you will find that he is constantly releasing bi-weekly updates and also takes icons requests. If you notice your favorite app isn’t already in there, you can politely ask for it. 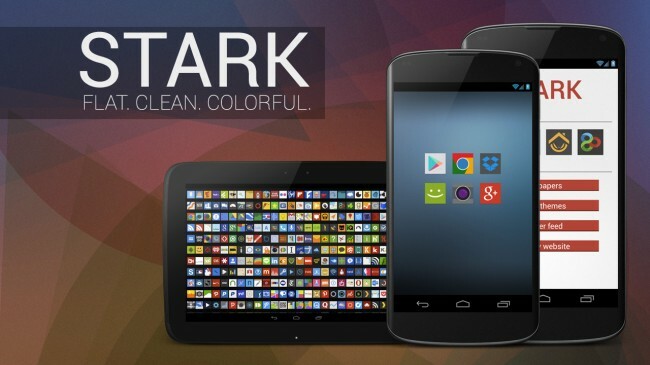 On top of the icons, Stark also comes with a pack of 10 wallpapers, each complimenting the icons quite well. The pack costs $1.79 on Google Play, a reasonable price for some very high quality icons and wallpapers. Go grab it and let us know what you think.